Since you are here reading this article, the question you are probably wondering is: Do I have to replace my car seat after an accident? Well, at Southern Auto Body the safety of you and your loved ones is our first priority, so we always say – YES. Often the answer you will get is that it depends on the severity of the motor vehicle accident you were involved in as well as the manufacturer’s specifications. At Southern Auto Body we suggest that you replace any car seat that was in a vehicle that was involved in a crash, even if your child was not in the seat at the time of the accident. Even when empty, a car seat will undergo crash energy during an accident, and those forces are only multiplied when the seat is occupied. 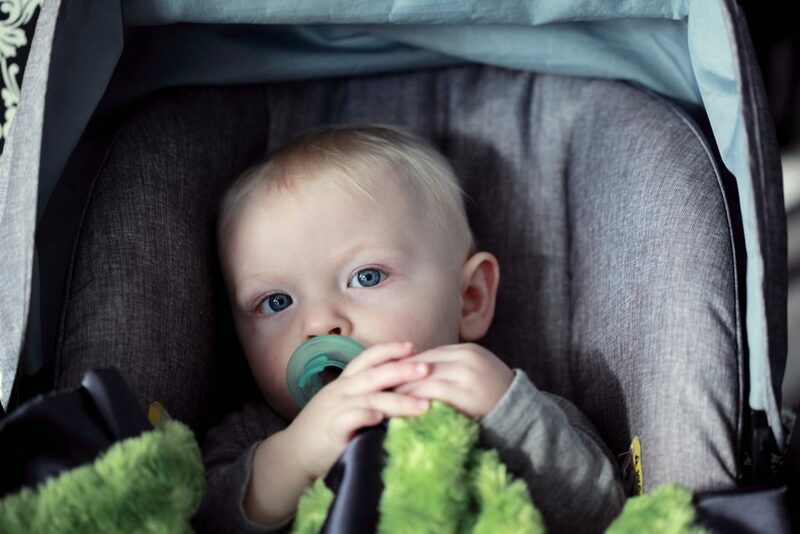 During a motor vehicle accident the crash forces can be extreme, enough to bend your car’s frame, so your best bet is to replace the car seat with a new one and ensure that your child is safe. First and foremost, if you are involved in a motor vehicle accident, call for help. The next thing to do is to wait for help to arrive. Unless there is impending danger – like a fire or further collisions – you should stay in your vehicle and leave your child in their safety restraint. Safety seats are designed to provide stabilization for a child who may have been injured. Often times, after an accident, paramedics will even transport children in their safety seats. A common question after a minor accident is whether or not you should drive home from the collision with your child in their seat – which you may believe to be compromised. This may be a judgment call you need to make on the spot, but keep in mind that damaged seats should not be used again as they could potentially fail. The best thing to do is to either have someone meet you with a backup seat or try to replace the seat immediately. We understand that this isn’t always ideal, or even possible, so you will need to use your best judgment. Keep in mind that infants and small children cannot ride safely with a seat belt alone unless they are able to pass the 5 step test. We know you need to get your little ones home, but the key here is to do so safely. Consider asking someone to bring you a seat – either a new one purchased on route or even a friend’s appropriately sized seat that you can borrow to get home. If there are two adults, another possibility is to have one take a cab either home to grab a backup seat, or to a store to purchase a new one. Make a decision based on your particular scenario, but ideally no child should ride in a crashed seat again. – Complete a visual inspection of the car seat, including the inspection of any easily removable seat padding. Ensure that there are no cracks or deformations that have resulted from the accident. – Your vehicle must still be drivable. That is, there is no serious damage to the vehicle itself that resulted from the crash. – The door nearest to the child seat is undamaged after the accident. – No injuries were sustained to any of the passengers involved in the accident. – No airbags were deployed as a result of the accident. If you meet all of the above criteria, you may not need to replace your child seat. We also recommend checking with the manufacturer of your car seat. Most car seat manufacturers also recommend child safety seats be replaced if they have been involved in a motor vehicle accident, regardless of whether or not a child was in the seat. Will Insurance Replace My Car Seat After An Accident? We cannot speak on behalf of your policy, but the majority of insurance companies will replace your car seat after a crash. In order to reduce the time that you are without a car seat, we recommend inquiring regarding being reimbursed for the immediate purchase of a new car seat. Your insurance company may have specific requirements and standards when it comes to car seat replacement, so if you are uncertain, contact your insurance company and inquire. I Have Replaced My Car Seat, What Should I Do With The Damaged One? Depending on where you live, you may have a few options. Many areas have recycling programs for old or damaged car seats. If there are no such programs in your area, and you are unable to find a suitable recycling depot, ensure that you render the car seat unusable. The last thing you want is for anyone else to find and use your damaged car seat. Some steps that you can take to ensure that the car seat is unusable are to remove any detachable parts, cut the straps and padding, and even write “Crashed” or “Do Not Use” on it. You have done all the research, bought an appropriate car seat and installed it properly – all to keep your child safe. We hope that you are never involved in a motor vehicle accident, but if you are your child should be safe. At Southern Auto Body, no matter how minor the accident, we do recommend replacing your child’s car seat after a crash. There is no way to re-certify a car seat after an accident, and even a minor collision can cause enough force to compromise a seat – even if you can’t see any damage. If you are involved in a motor vehicle accident and require any towing or collision repair services, contact Southern Auto Body and we will get you back on the road quickly and safely.